We're here to help you with all of your marital and family law issues. If you have been charged with a crime in Florida, we can help you! The Law Offices of Robyn R. Weiss P.A. was founded and built on the principle that every litigant in our community deserves aggressive, affordable representation by skilled attorney whose integrity will not be compromised. 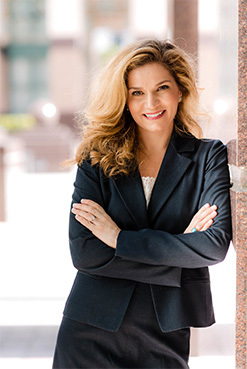 Ms. Weiss has spent her entire career practicing law in South Florida, and brings 18 years of litigation experience in local courtrooms to her clients. Ms. Weiss has a reputation as a skilled attorney whose integrity will not be called into question during the litigation process. She takes all steps necessary to keep her clients informed about their rights, the legal process throughout the case, and even after its conclusion. Ms. Weiss provides the insight and attention to detail that is necessary to ensure the client’s interests are protected at all times.